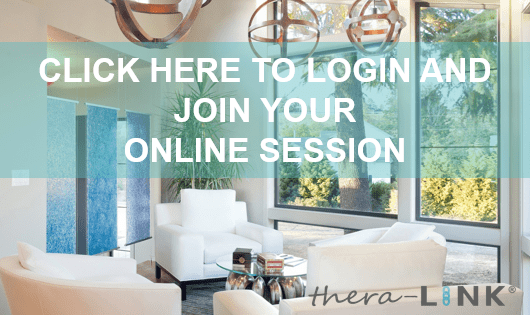 Online Therapy and Counseling Services & Benefits | Sign Up Today! Why should you choose online therapy? There really are a multitude of reasons why online/tele/emailing therapy is gaining popularity in such a fast manner. CONVENIENCE and REMOTE ACCESS – schedule your sessions from the comfort of your home. It makes keeping appointments at a specific time and place unnecessary. The contact can transcend geographical boundaries and time zones. SAVE TIME & MONEY on commuting to a therapist’s office. ONLINE THERAPY provides help to many who would not otherwise receive it, such as people who live in remote areas or those travelling and re-locating in foreign countries. Individuals with a possible language barrier, you can quickly find a therapist who speaks your language. ONLINE THERAPY offers a wonderful opportunity to get help to the physically disabled or housebound as well as their caregivers. NEWLY BECOME MOTHERS who are not able to arrange for babysitting but who desperately need the professional help understanding how to fight the postpartum blues, feeling overwhelmed with responsibilities of motherhood and adapting their marital relationship to the new life style. The PERCEIVED PRIVACY where individuals still feel a stigma attached to visiting “a shrink.” People can be phobic, trapped in abusive situations, or merely shy and afraid to face someone. Many clients appreciate the “disinhibiting effect” of not being seen in-person (Joinson, 1998; Fink, 1999). The PRIVACY and CONFIDENTIALITY of the client stays the same as an in-person therapy. I utilize a professional HIPPA Compliant therapeutic platform which connects us in the video session and leaves all worries behind its door. ONLINE/Emailing THERAPY can free the psyche of the client for therapeutic self-reflection in many other ways. Beyond providing a sense of privacy, the disinhibiting effect of not being seen also allows the client to quickly hone in on the core issue. Behind the scenes, social masks are unnecessary. Online therapists have found that text- based self-disclosure can have the effect of inducing a high degree of intimacy and honesty from the first exchange of e-mails. Many clients present themselves in a ‘naked’ way, without their usual in-person defenses (Owen, 1995). The client’s inclination to ventilate is naturally channeled by the need to frame thoughts in writing or hear himself speak over the phone. The act of composing, which often includes re-reading and reviewing what is written on both sides, leads naturally to externalizing and re-framing, thereby increasing objectivity. In the act of e-mailing, new associations, memories, and insights arise in the contemplative atmosphere of ‘getting it down in writing.’ Creative solitude and silence are integral to the process. Several studies have found (including the Journal of Affective Disorders, 2013) that the effects of online therapy have outlasted the results of physical face to face counseling. If you are not sure whether therapy or online therapy is right for you, if you do not know how to make the first step- do not hesitate to Email me. I will answer all of your questions and try my best to ease your worries and concerns. Your help is JUST BEHIND THIS DOOR….